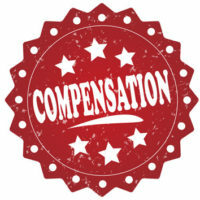 Where Does My Compensation Come From? It is no secret that injuries caused by jet skis, motor boats, fishing vessels, and other watercraft cost a lot. While it is crucial to work with an attorney when you get injured, there are certain limitations that must be accounted for, such as the negligent party’s insurance policy or the value of their personal property. To find out more, contacting a Miami attorney at once will go a long way in helping you and your family understand the path that lies ahead. How long will my injuries take to heal? Will I regain full motion of my leg, arm, etc? What is my hospital bill going to come to? Who is going to look after the kids, take care of household chores, and fill in for me at work while I am recovering? Is usually required for boats that required a loan to purchase (required by the bank). Additionally, some liability coverage may be available with the negligent party’s homeowner’s insurance, though this is usually resigned to just a few thousand dollars. And, according to Geico, most homeowner’s insurance policies have size and horsepower restrictions in place for the boats they do and do not cover in the event of an accident. So where does this leave you? When dealing with an insurance company, you must have patience and a lawyer who knows what they are doing. An attorney that has dealt with insurance companies knows that despite policy limits, there is usually wiggle room. If an insurance company is only offering a few thousand, or even a few tens of thousands, of dollars, it may not even scratch the surface of your medical bills, pain and suffering, and other damages. A lawyer will help negotiate a better offer, attempt to resolve the dispute in mediation, and, if that fails, take your case to court and win. If there is no insurance company involved at all, it may be necessary to sue the liable party for their personal property, which is a tricky scenario but one that may have to be pursued. Feel free to call the Miami law offices of Michael F. Guilford, P.A. at any time to discuss your situation with one of our experienced and compassionate maritime lawyers today. We are eager to assist you throughout each step of your case.